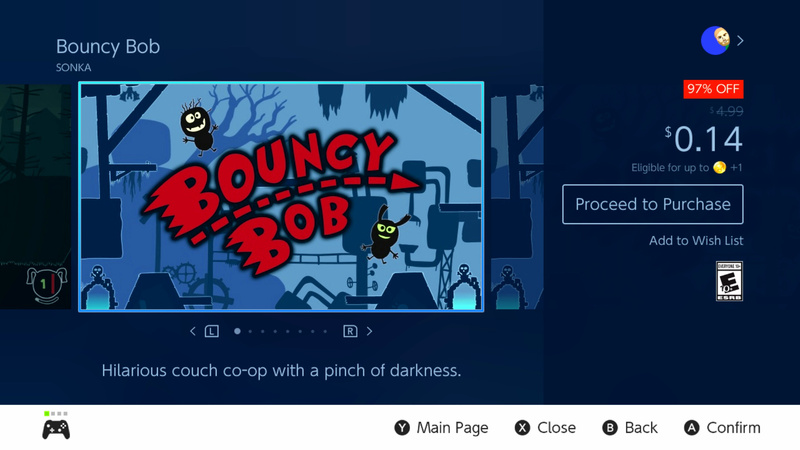 If you're in the mood for grabbing yourself a bargain, you might want to take a look at Bouncy Bob. The game has just gone on a mighty sale on the Switch eShop, with the North American version looking particularly tasty with a 97% discount bringing the game down to just $0.14. 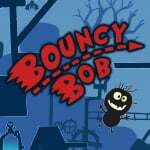 If you're unfamiliar with this one, Bouncy Bob has you taking control of a gnome to defeat an army of the undead. It features a one-button control scheme, and you can also invite friends to join in on the fun in a local multiplayer mode. The game usually sells for $4.99, first releasing back in April this year, and seeing such a dramatic sale is very rare indeed. Despite this alluring price, it has to be said that the game isn't quite as lovely to play as you might hope. In our review, we said that the game's control scheme is "a painfully restraining annoyance and, although quashing a row of enemies can be satisfying, being given the one method to play quickly becomes a chore". Having said that, it's pretty hard to ignore the chance of grabbing a game for so little regardless - we've paid more than that for the privilege of going to the toilet in the past. The European stores also have the game heavily discounted (in the UK it's currently 80% off at £0.89) but that North American deal is definitely the cream of the crop. Are you tempted to give this one a whirl? Let us know if you decide to take the plunge with a comment below. So, now it's going to sell a bunch to artificially push it's way to the top of the sales charts. Isn't this the problem steam used to have? think they are confused about the dollar to pound conversion rate lol 89p what a rip off! Plague Road's been doing this a lot. Goes on sale at 90% discount, appears in the "most downloaded" chart, goes back to full price. I don't have a problem with this, if you're buying games purely based on them being in the chart then you deserve the games you buy. I still won't buy it at 97% off. A bad game is still a bad game. I don't care how cheap it is. I'd rather something like this didn't even show up on my library. I'll keep my 89p ta! There are quite a lot of cheap games at under AU$1.50, and while I would have been tempted to buy them on my Wii U, with its unnecessarily large 2TB hard drive, I would rather conserve my memory, seeing as I only have about 30GB of my 200GB microSD card to spare. They could practically give this away for free and I still wouldn't take it. Eh. I’ll give 14 cents for it. I’m sure as bad as it is, it’s worth 14 cents. That said, I still haven’t gotten plague road when it’s sale price is up. And I always consider it. @Silly_G Why did we you and I both buy 2TB hard drives for our Wii U's? Finally! Some devs are admitting their games are no better than mobile games. It’s quite sad when a game is priced that low and I’m still on the fence about it. It’s best just to get Timber man vs. Last I checked it was on sale for $1.01 and online play has been implemented. It could be free and I wouldn't download it. If it's bad it's bad, so any money is too much money. It will now rise to the top of the charts and then when back to its normal price it will linger around the top 10 for a week or 2 due to folk buying it based on its chart position. 2 weeks later, repeat. Mecho Tales, Plague Road have been playing that trick for a while now. Nintendo really need to put these cheap crappy games in a different budget category. I think I will wait for a better sale. @kurtasbestos @Silly_G Is there even 2TB worth of games on Wii U? I reckon you could own every single game and its DLC and still have loads of room to spare.I've got a 1TB drive, 60 odd games downloaded and I barely tickled it. This price has the opposite effect with me. I wouldn’t tarnish my Switch with such cheap £&@? I'll keep my $.14, thank you. I take pride in my game menu screen being a tight collection, so no price will tempt me on these kind of games. I'll wait until it drops a bit more. @OorWullie @kurtasbestos : The largest game was Xenoblade Chronicles X from memory, and even that would hardly cause a dent in a 2TB drive. I can't imagine having downloaded more than 50GB-100GB of data. The hard drive isn't even worth using for other purposes as it requires its own power source. And we were spoilt as Wii U games did not require installation (I can only guess that the proprietary discs were a higher bandwidth variation of Blu-ray discs, hence why they could be played directly from the discs without a hitch). Sure I'll spend a few gold points. Not like there are better rewards on MyNintendo. Is a few cents worth a frustrating and perhaps monotonous experience? Not for me it isn't. @kepsux How did steam fix it? Maybe not have just 5 tabs for discovering games on the eshop? At least it won't survive long in the most sold category since other good games will destroy it as soon as it gets back to normal price. @Silly_G1 @OorWullie Dumb question... but can I find a small hard drive that will work the same way with my Wii U so that I can use that massive drive for something else??? Seriously, trying to find a smaller hard drive that works the same way but is also incredibly affordable because I don't want to spend more money for more hard drives I don't REALLY need seems to be quite challenging.